If you are looking for gold bullion for sale or silver bullion for sale you can find them in many places, and there are some things you need to consider and evaluate before choosing the right bullion and dealer choice. The precious metals market has seen enormous increases in the last few years, raising the spot prices for gold, silver and others to record prices. Buying gold bullion today will cost you more than it would have in the past, but that does not mean that it is a bad investment. To buy or not to buy depends on your goals and intentions. Gold bullion for sale is available at a number of online dealers, and you will find both honest dealers and scam artists who will offer to sell gold bullion at widely varying prices, quality levels, and markups. You can find physical gold in many different forms, including bars, coins, ingots, nuggets, and other types of bullion that you can purchase when you are looking to add these to your portfolio. 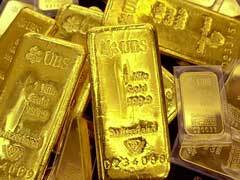 If you want to find gold bullion for sale, a quick Internet search will reveal many gold bullion dealers who can help. There are a plethora of bullion products you can choose from being manufactured in the US, Canada, Switzerland, Australia, China and even South Africa. All of these bullion bars or coins have their own set of benefits and drawbacks for investors and numismatists. The markup that you will pay is important when you are considering gold bullion for sale, because this is the added fee above the market value of actual metal content. This expense is normally lower for larger amounts purchased, so buy as much as you can at one time so you pay less of a markup. Additionally, some gold coins are considered more popular and carry a significantly higher dealer premium charges compared to other products of comparable parameters. No matter if you are looking for gold coins for sale or any other forms of physical precious metals, buying these at a minimum fee over the price of the actual metal is highly recommended. Additionally, it’s worth planning ahead as to how you are planning on storing your investment. Whether it’s a bank’s safe deposit box or an off site vault, these added fees should also be considered as the cost of your investment. In the future whey you try to sell off your coins or bars after a year of owning them, you will be faced with a capital gains tax that under the US laws is charged at 28% tax bracket on gold investment. Only after you weigh in all of these facts, you can make a personal decision whether you should buy precious metals coins or not.